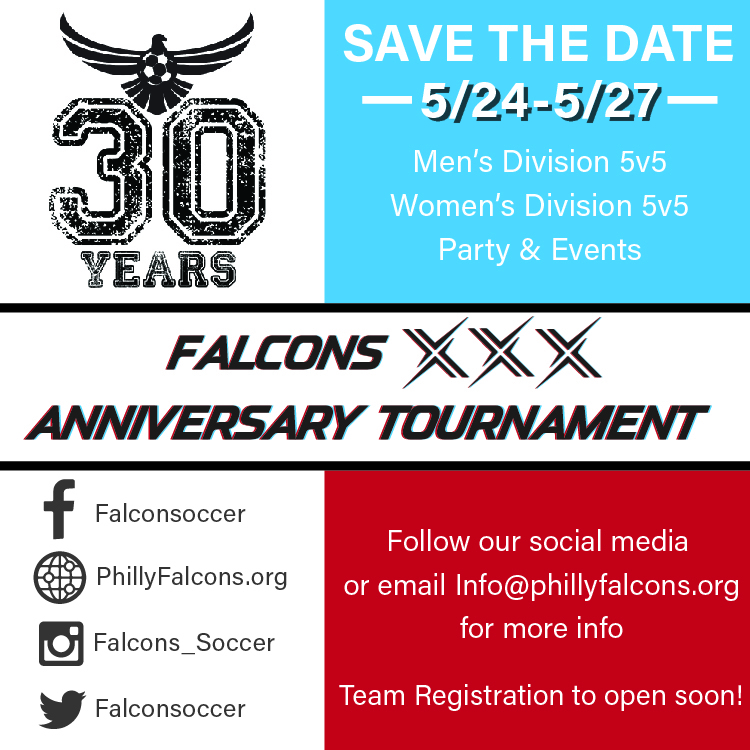 Our 30th Year is HERE, and we're celebrating with a tournament. We'd love for you to join! There will be an open/all-gender and a women's division, both will be 5v5 on turf fields. Mens and Women's division games played on Saturday May 25. Saturday May 25 - Dinner and A PHILLY NIGHT OUT..
WOMENS DIVISION.. $50 Individual and $500 Team.. The social events will be in the gayborhood in center city. This area is generally between 12th and 13th Street, from Spruce St to Walnut St, and can easily be accessed from the Broad Street Line or Market Frankford Line subways. The tournament fields are located in Elkins Park. This is about a 35 minute drive or Uber from center city. The Broad Street Line can be taken north to the last stop, and then the fields are a 10 minute Uber. Hotels: We have partnered with the Liberty Bell Softball Tournament to secure discounts at hotels downtown. Follow the link here and book early to get these great rates (approx. $145 per night + tax).